It’s Race Day on Sunday. 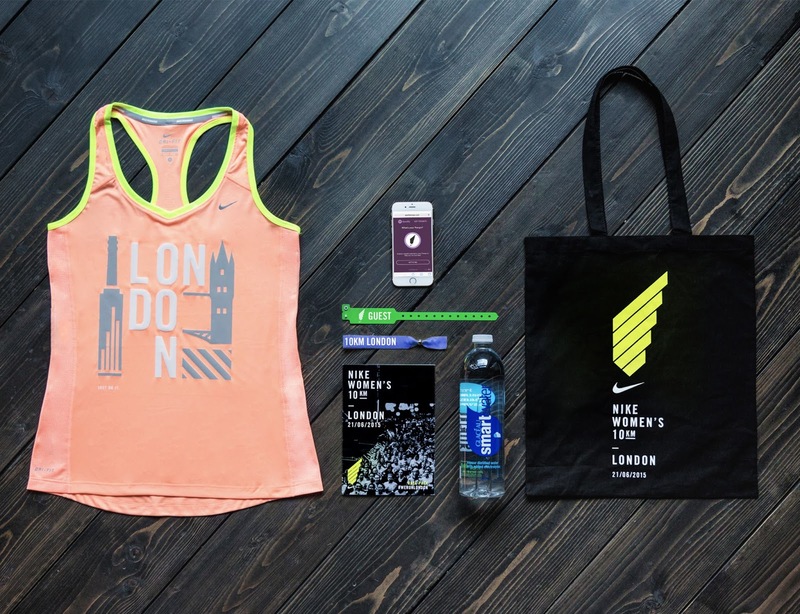 The Nike Women’s 10km hits London’s East End; Victoria Park, where I will join 9,999 other women to take on this challenge! This year I’ll be running with the Vita Coco Coconut Oil (VCO) Crew. With less than one week to go till race day, I’m now getting my act together and figured I may not be the only one! So this is my “do one thing a day” task list to get me ready for Sunday Morning! Pick your race day outfit. Something tried and tested (I know you’ve heard it a thousand times). Find everything from socks, underwear, rain jacket (it’s London) to water bottle, headphones and your favourite pair of lycra leggings. If anything needs washing, get it done tonight. And don’t forget to store your wristbands / paperwork with your kit so it’s easy to find on Sunday morning! Check TFL to find your fastest / easiest route. The location for Sunday is indeed a good walk from Mile End Underground but there are buses you can hop on which drop you right outside the park. Check for tube line closures or just hire a Boris Bike and use it as a warm up! You know what works for you before a morning run; it’s another one of those “stick to what you know” times. Good options are porridge, a banana or a bagel with peanut butter. Pack a snack bar in your bag for post race too! I’ve also put race fuel in this section too; if you use hydration tablets then make sure you have them packed. Usually you won’t require gels etc for a 10km race so that’s one less thing to worry about. Check you have everything you need in your cupboard at home! if not, order a food delivery or pop to the shops in your lunch break today! Double check the weather for race day (it can still change) and make sure you have options in your pile of kit for sunshine (hat / visor, suncream, shorts), rain (rain jacket, change of clothes), cold (extra layers for post run, bin bag for start line) and everything in between! Try your best to increase your fluid intake from today onwards. This will help your energy levels in the lead up to race day and keep you well! You have plenty of options including water (love me some sparkling), Vita Coco Water and your tea and coffee counts too (although they can be dehydrating in large quantities and try to keep sugar to a minimum). Get in a little 2 – 5km run to remind your legs what they need to do! Then chill out, rest your legs and catch a movie 🙂 This is also a good time to update your GPS watch so it connects faster to the satellites tomorrow morning! I’m always the one shouting “wait, my GPS isn’t ready!”. Then all that’s left is to get a good nights sleep (if you can!). You’ve done all the preparation now its time to enjoy the race itself! 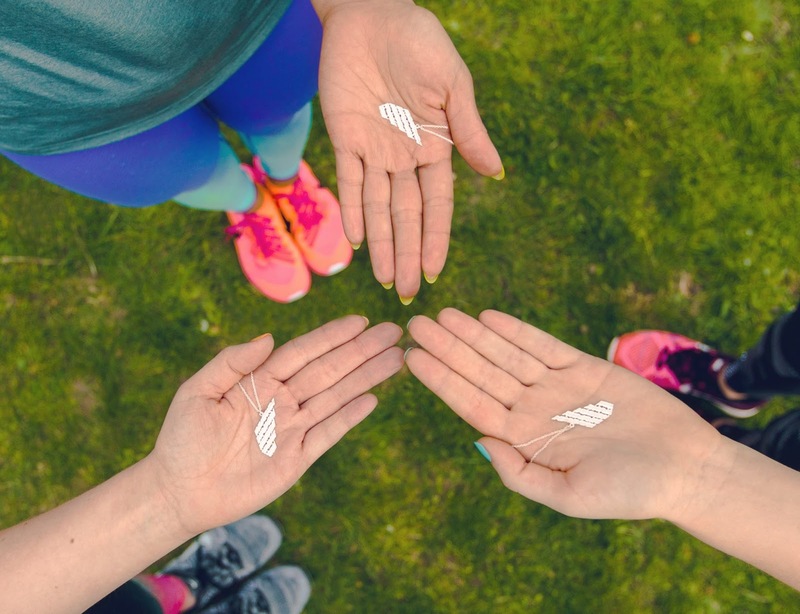 Then style your Alex Munroe finishers necklace with your outfits everyday! Got anything on your mind?! or have any other preparation tips for us?! p.s huge shout out to VCO for the complimentary race place. They will also be supplying me with some VCO and water and some leggings for race day. But you know me, all opinions about this event and my journey will be honest, and very much my own opinions! p.p.s who noticed it's actually 6 days and 6 tasks?! Hmmmm.